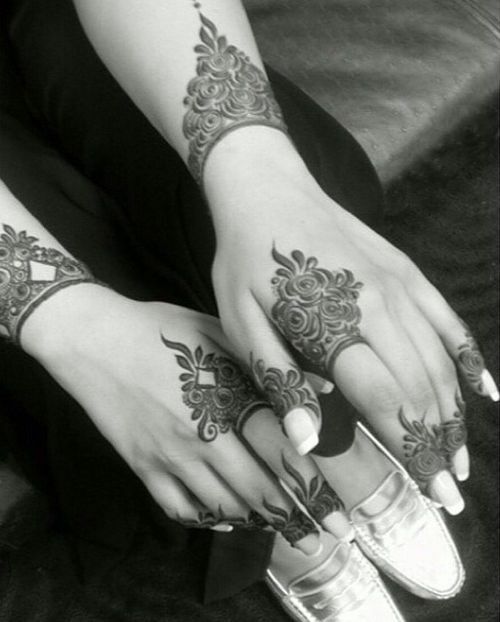 Mehndi is every girl’s favorite and they have a choice of their own designs. 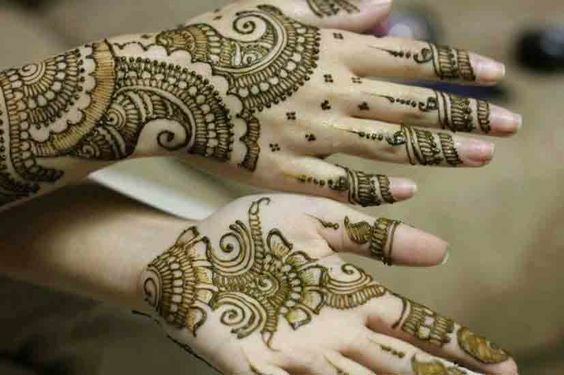 Some girls like a lot of mehndi on their hands whereas some of them like to leave a little space between the patterns. 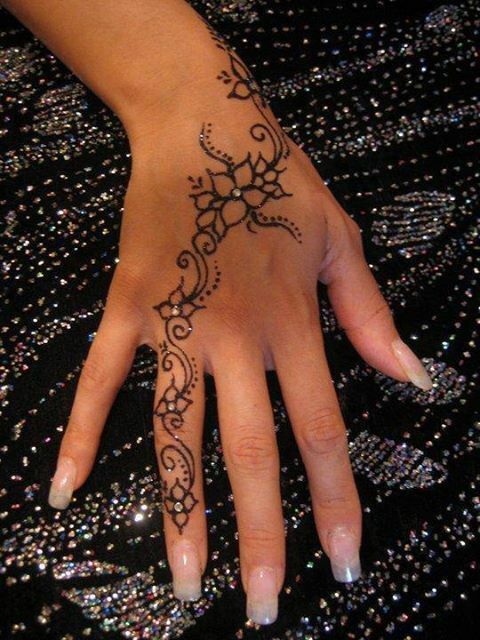 Here is one gorgeous black mehndi design for the bride for the back of her hand that looks stunning. 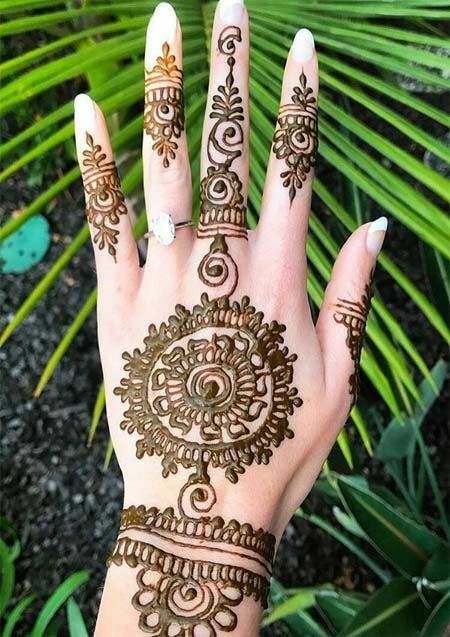 If you are a fan of simple mehndi and don't like to get your hands loaded with tons of mehndi then this design is perfect for you. 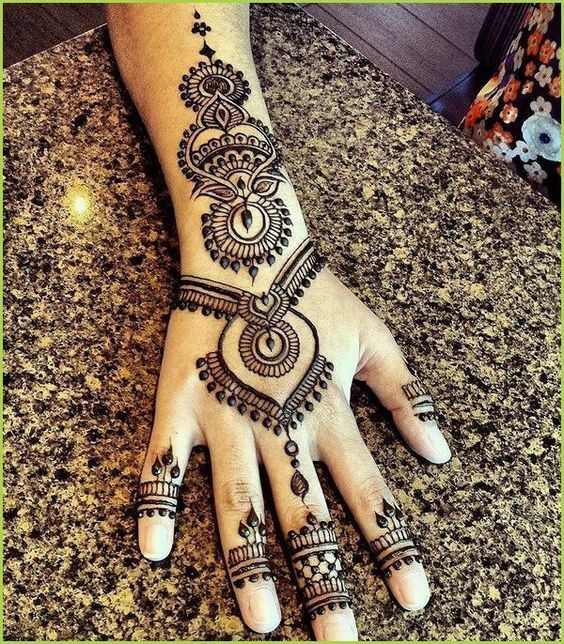 WHo said simple design can't make your hands look amazing on your big day? This design has bold and thicker strokes that look very striking. 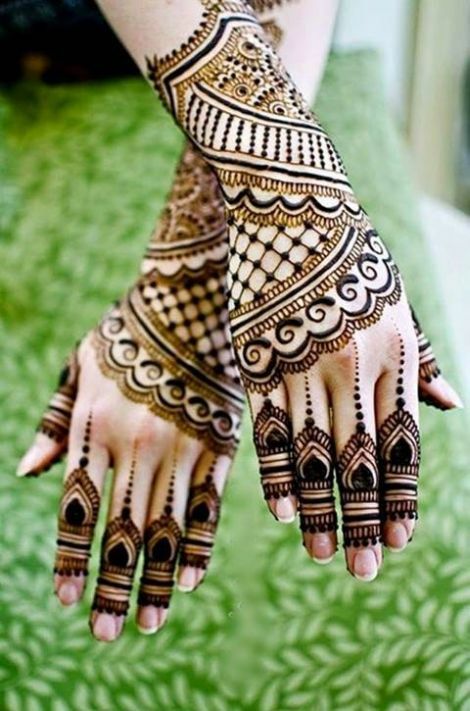 Let us add a little more creativity in our mehndi designs for our big day. 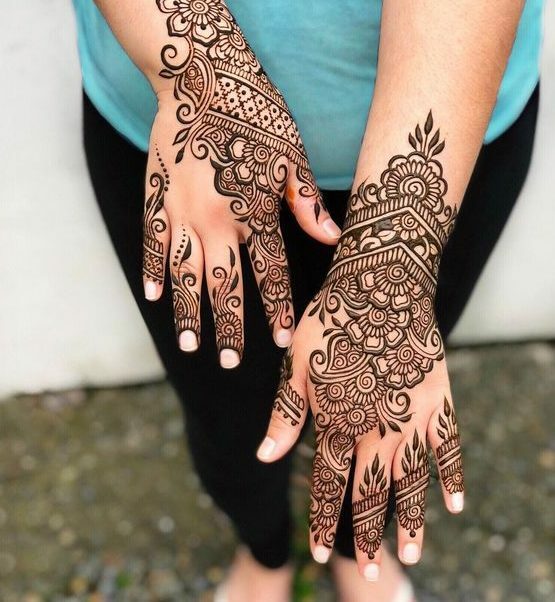 Here is a design that will make your hands stand out even more as you can see some very stunning patterns covering the hand and a little bit of the arm. This is a very classy design which does not look over the top. 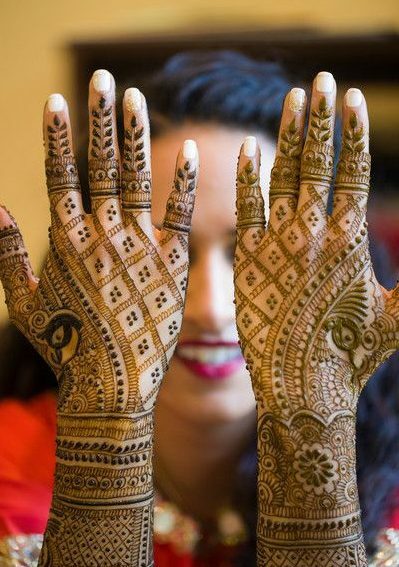 No matter how many designs come forward with each passing year, some brides just can not let go off their traditional mehndi. 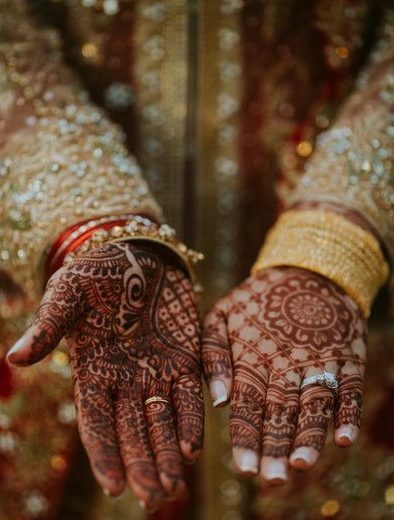 Here is one such example where you can see bridal mehndi has been applied in a traditional way which looks quite fascinating. 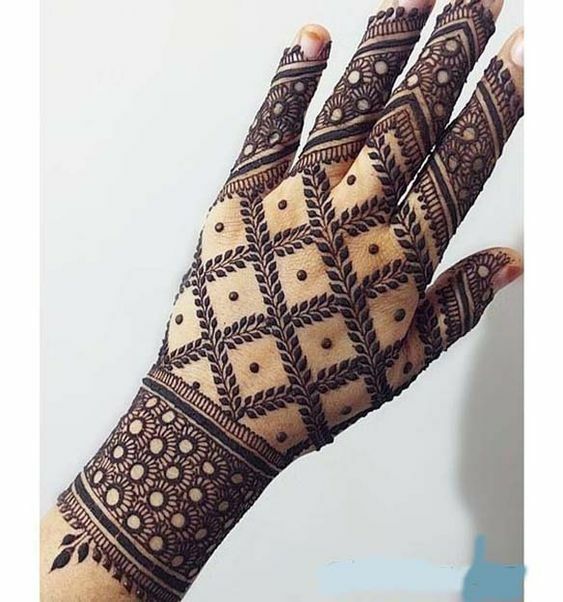 There are brides who are quite picky with their mehndi design and don't like getting loads and loads of mehndi on their hands and arms even if it's their wedding day. 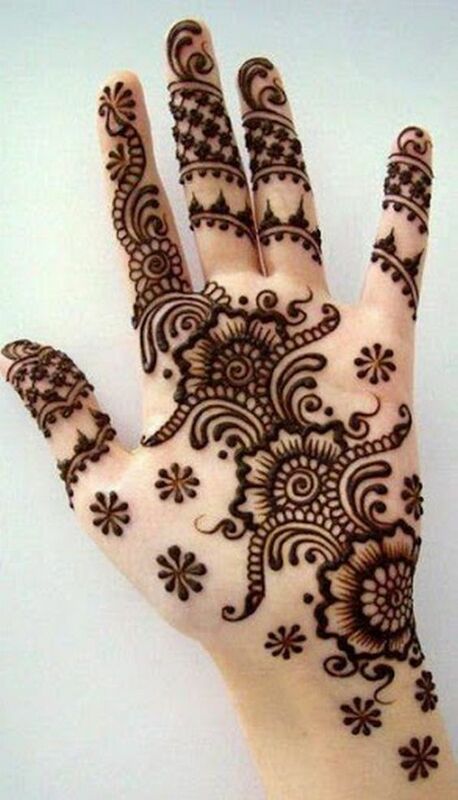 Look at this gorgeous mehndi design for the back of the hands which has a bail design. 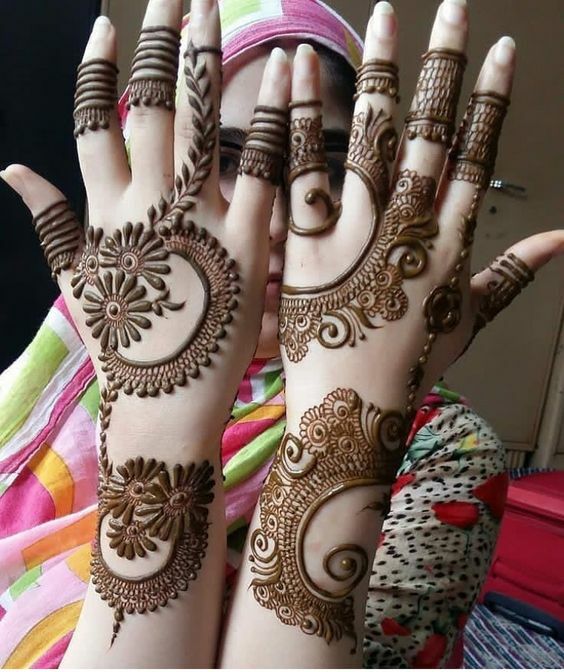 Peacock is considered as a symbol of beauty and people love getting peacock mehndi designs as it makes their hands look graceful. This is an auspicious bird considered in most countries. 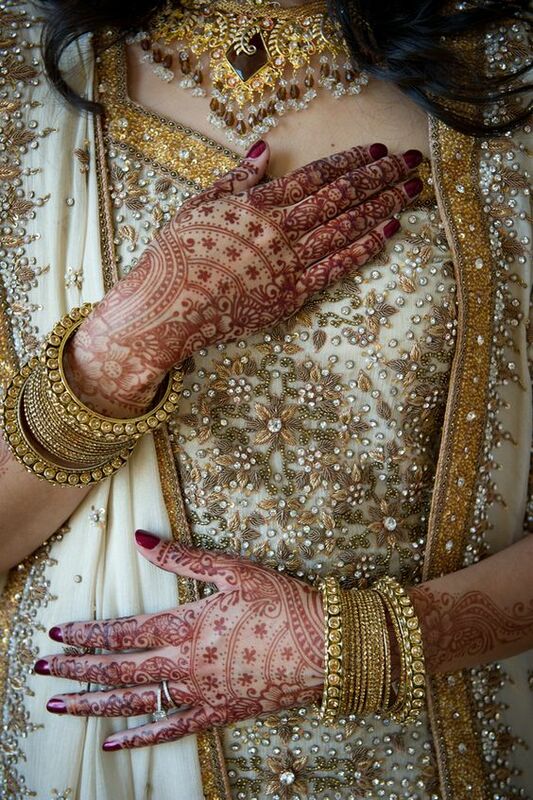 Look at how beautiful this bridal peacock mehndi design is which covers hands and arms. 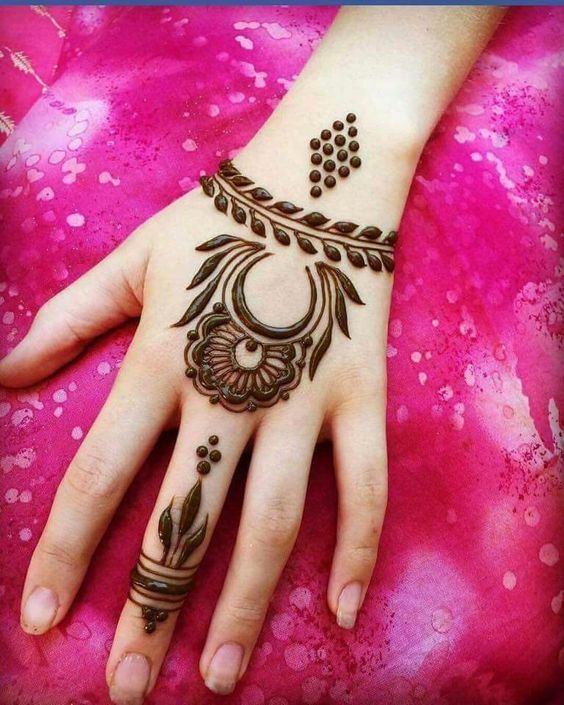 IT is quite a difficult task for girls to choose the perfect Arabic mehndi design for themselves who are not big fans of it. 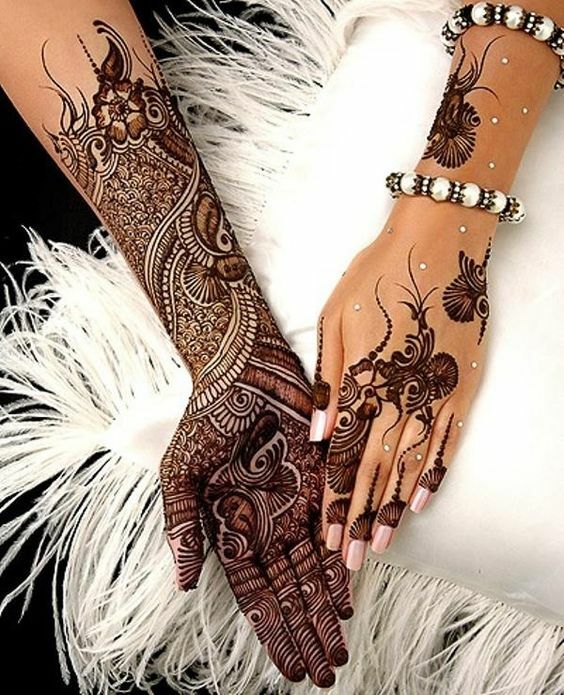 Well, if you are someone who likes classy and simple back hand mehndi designs then this is the perfect choice for you. 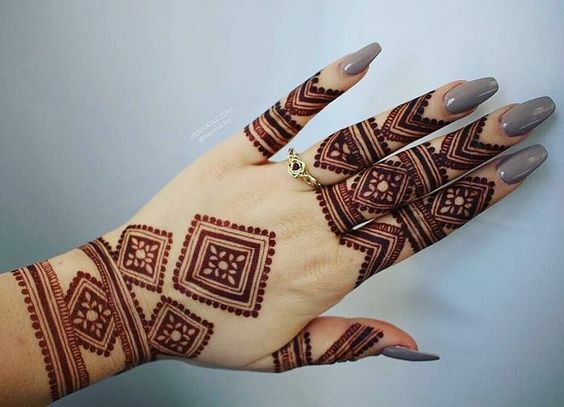 If you're a person who is all about thick mehndi patterns and want your hand to be filled with mehndi then this design is perfect for you. 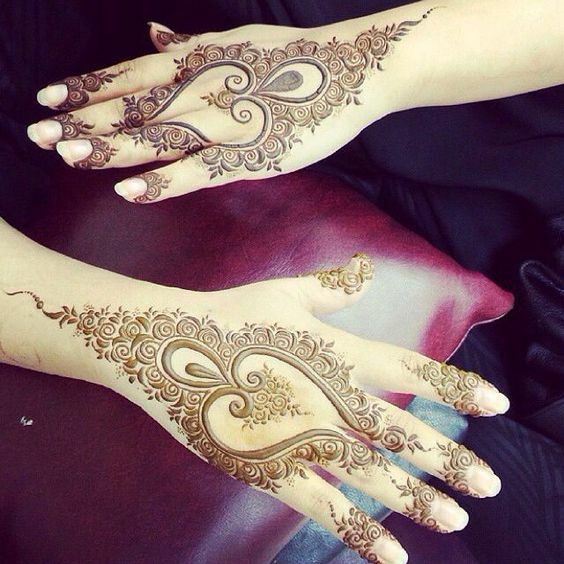 It has a lot of patterns made at the back of the hand where you can also see some shaded and filled patterns. 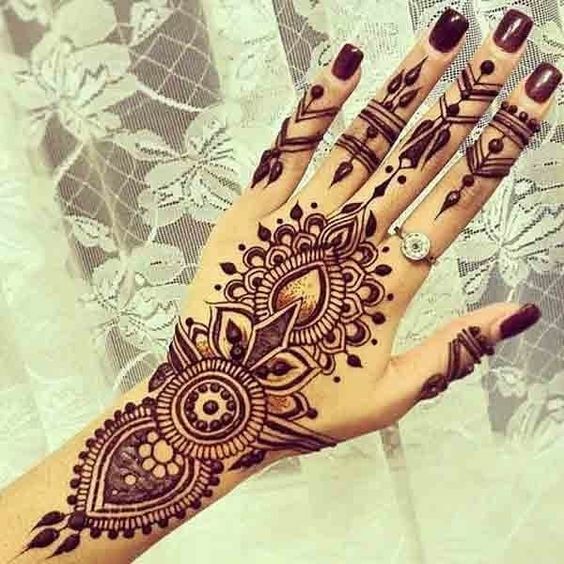 How beautiful does this design look even though it is fully loaded with mehndi? 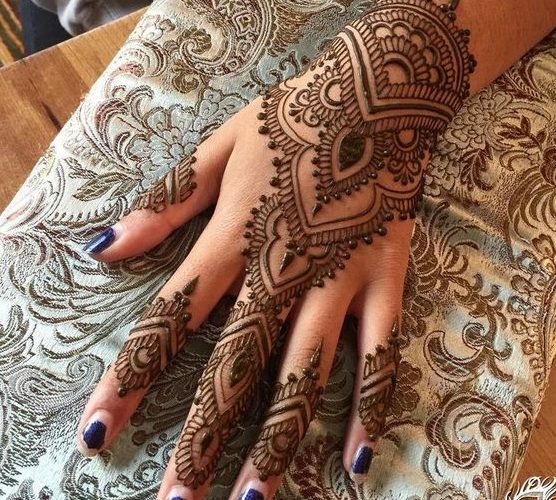 I am definitely mesmerized by this design as it has some really amazing patterns. You can see there's a lot of work on the fingers and the area below fingers whereas the rest of the hand is empty. 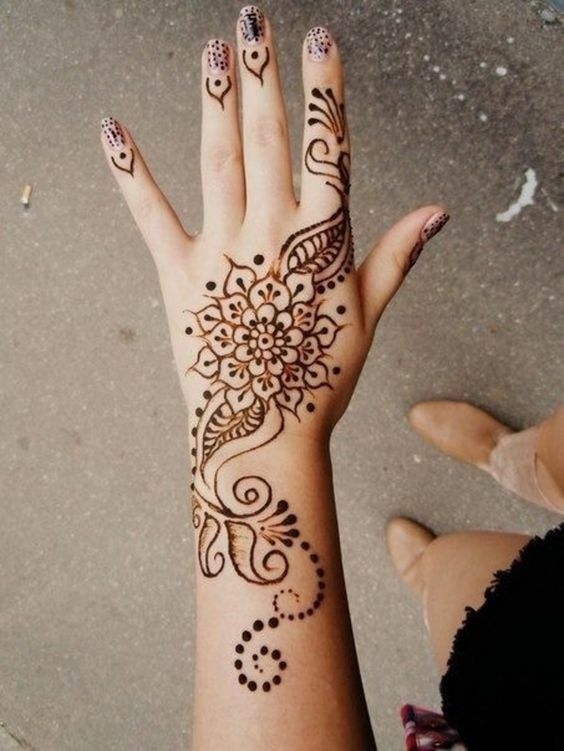 Peacock mehndi designs might seem very simple and easy to make but let me tell you that is definitely not the case. 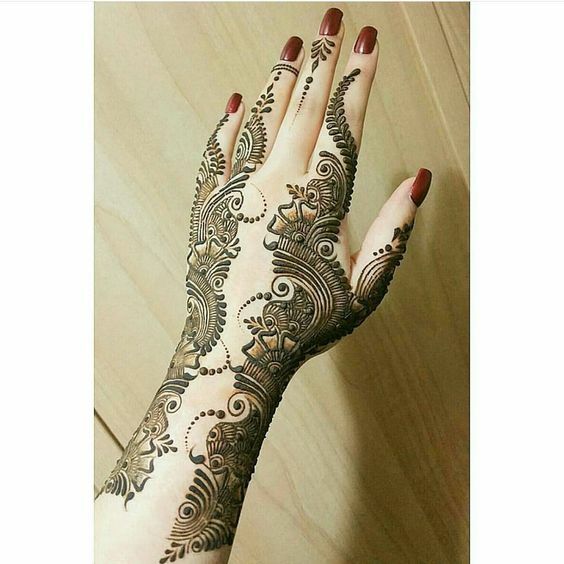 Here is another peacock mehndi design which has a lot of work. 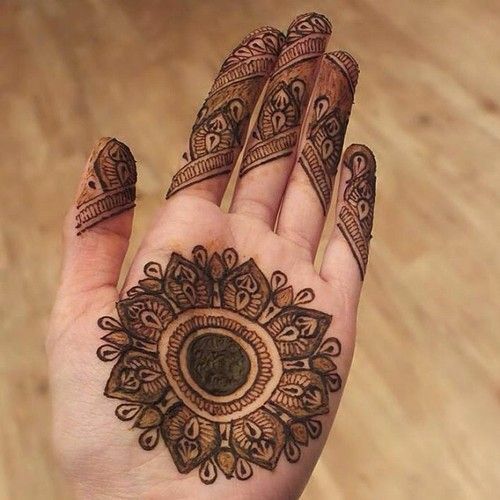 You can clearly see a peacock made at the side of the hand which looks beautiful. 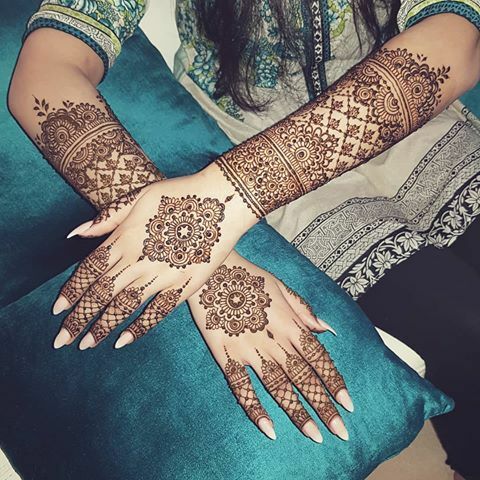 If you are not a fan of heavy traditional bridal mehndi then have a look at this design which is sure to make you fall in love with itself. 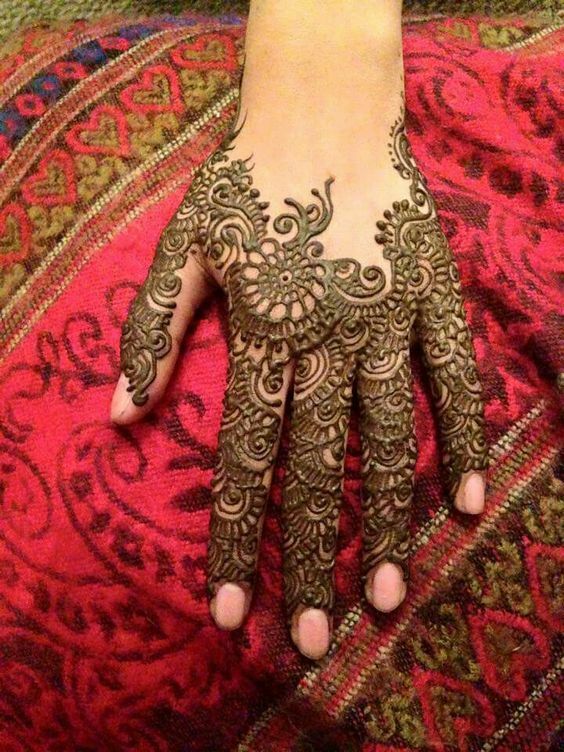 This is a beautiful mehndi design for brides where you can see it has been made at the back of the hands with some really cool patterns. 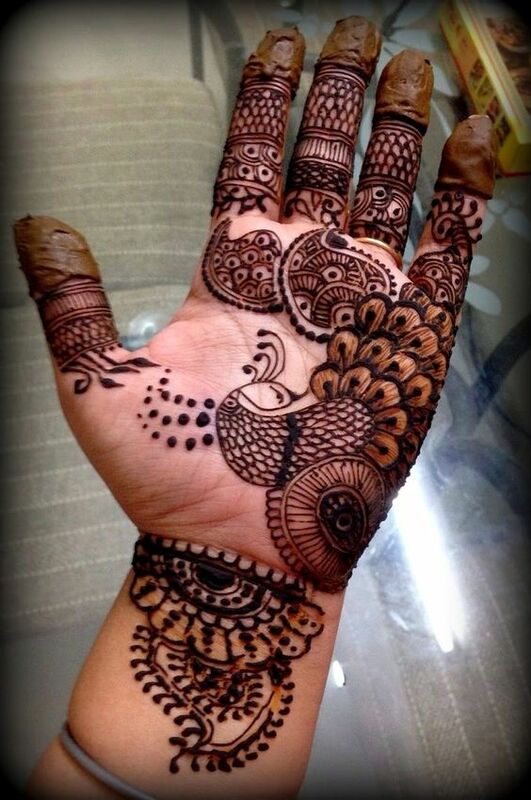 All of us love circle bridal mehndi design because of the fact that they look very simple yet stylish, right? 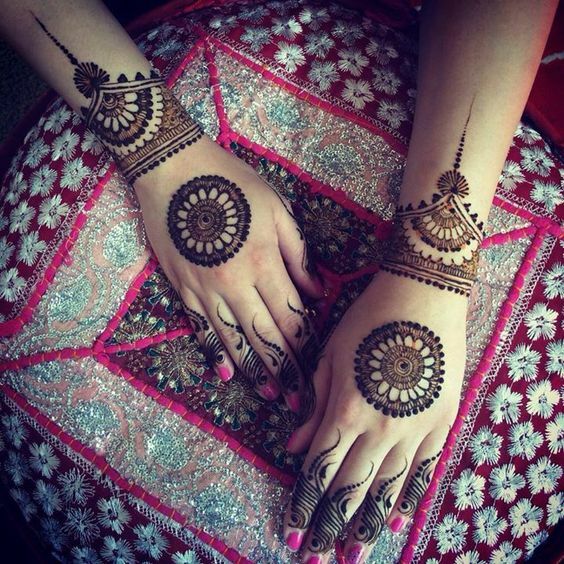 Look at how stunning this circle mehndi design is which is perfect for your wedding day. 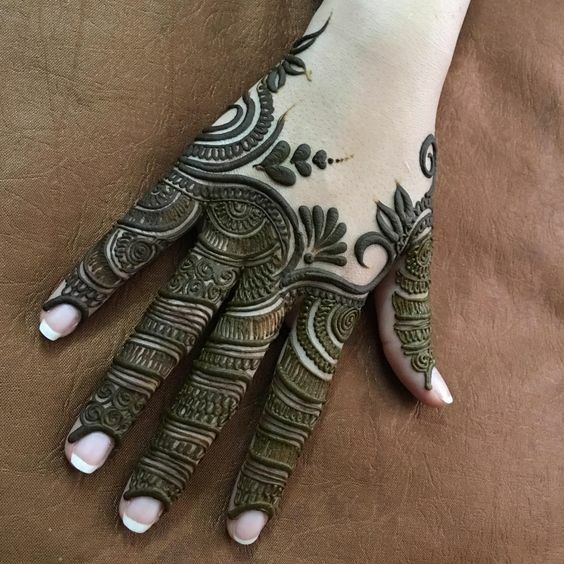 This mehndi has shaded patterns that make the design even more lovable. 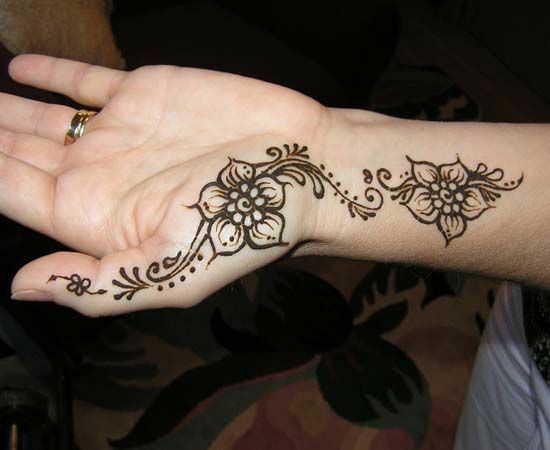 There are events sometimes where you really like searchig for the simple mehndi desigs. 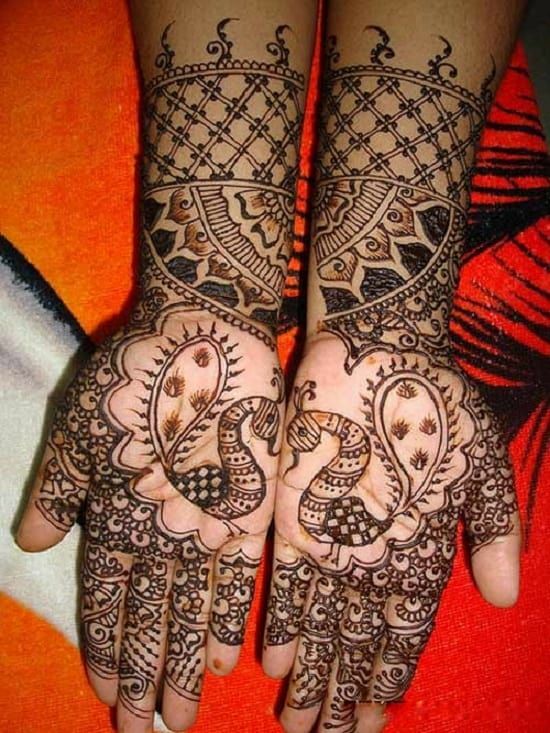 Have a look at this alluring mehndi design which has a little work ad has work on only one side of the hand. 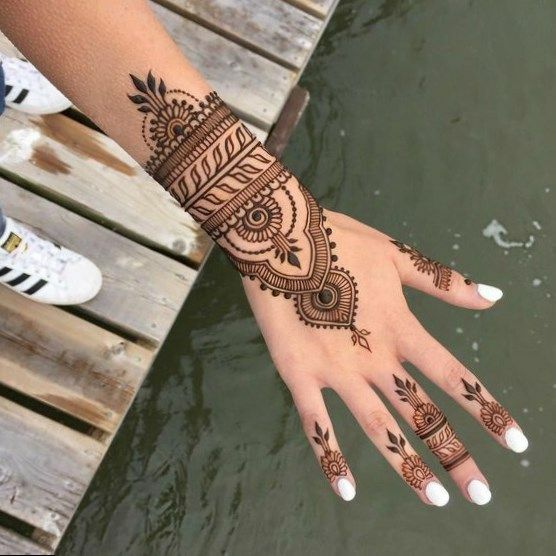 You can go for this mehndi design if you want a simple but stylish look. 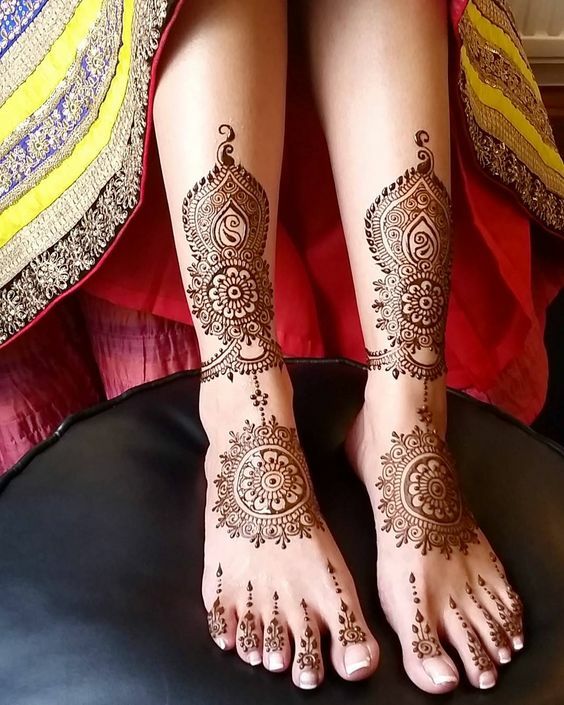 Bridal mehndi design for feet has to be chosen very wisely as it should make you feet look more beautiful and should be able to grab people's attention. 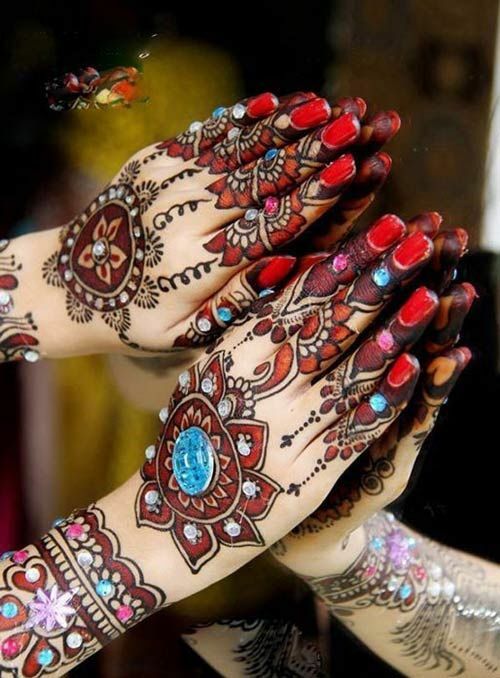 Look at this gorgeous mehndi design which has a lot of different beautiful patterns which make the whole design striking. 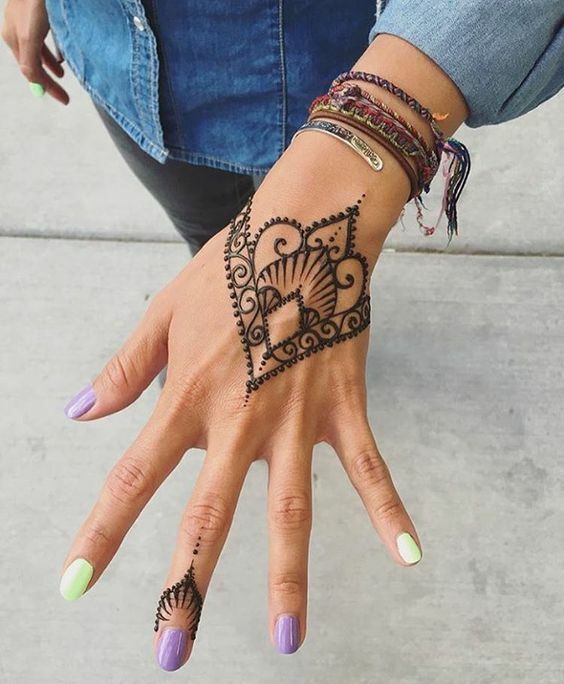 All of us are familiar with the circular or the mandala mehndi design on hands but have you tried making that on your feet? Well, it is definitely a very good choice because the design looks absolutely beautiful. 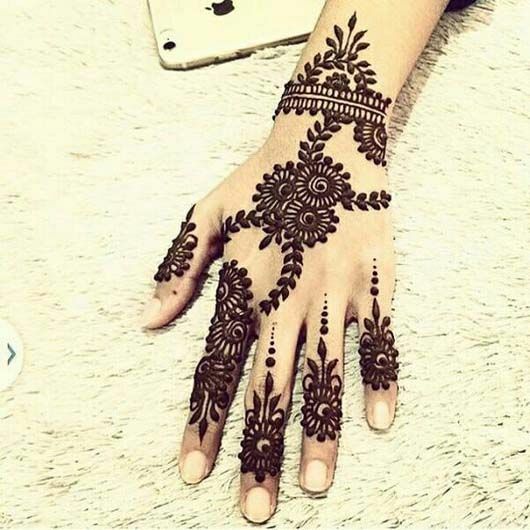 Have a look at this design which makes the whole foot look lovely. 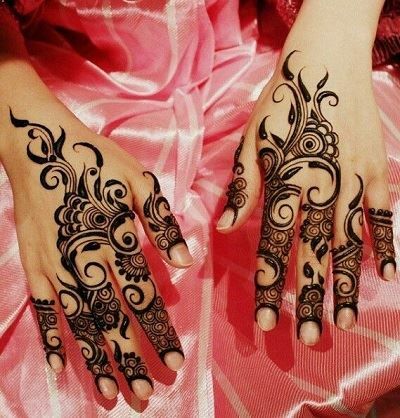 Arabic mehndi is known for its delicate and beautiful patterns. 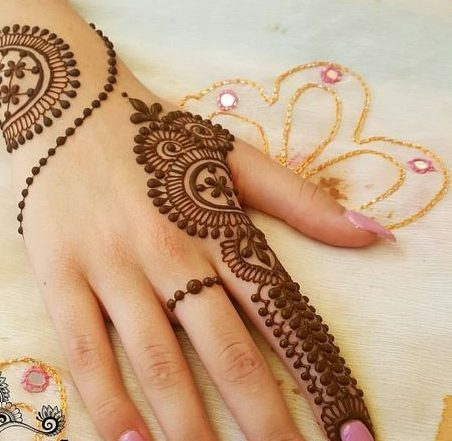 SO, what could be better than applying Arabic mehndi on your big day as it looks quite beautiful and is also not very heavy? 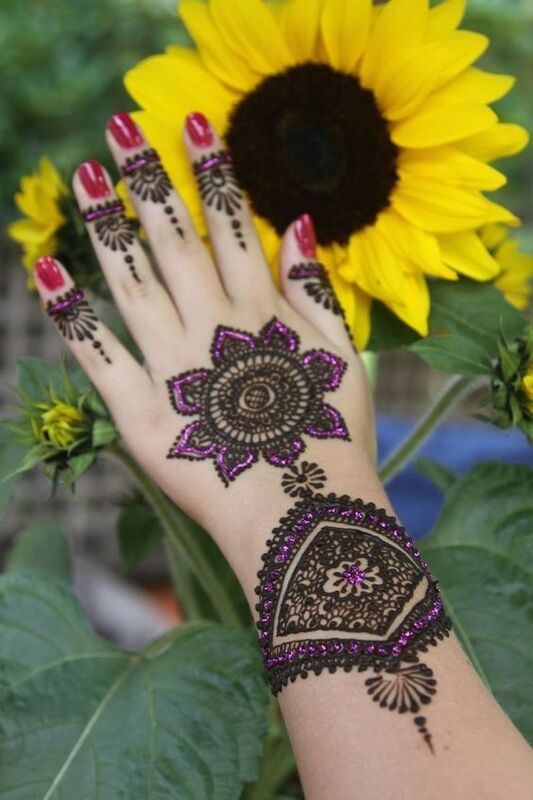 Look at this beautiful design which has floral patterns at the front of the hand. 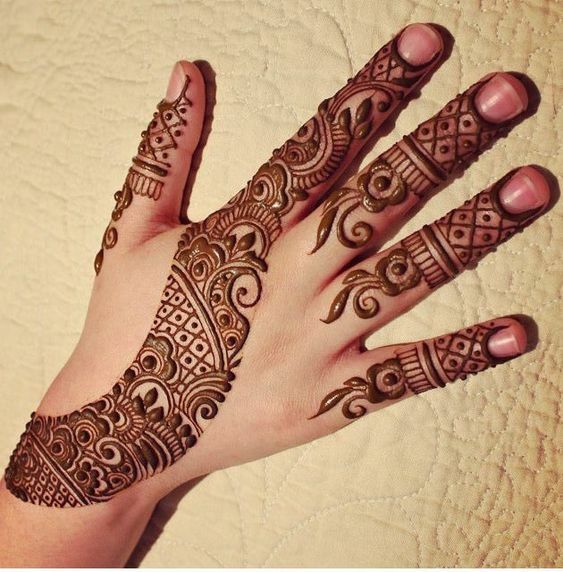 Girls have a look at this stunning bridal mehndi design which is definitely going to be your new favorite. 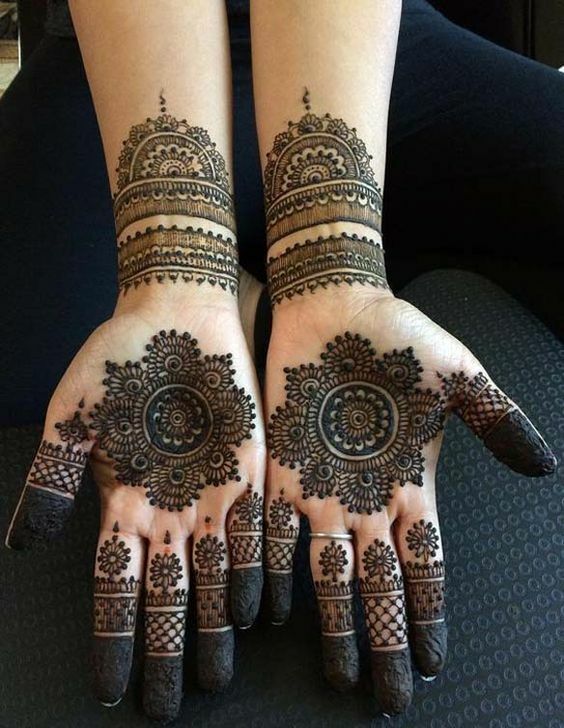 This design has definitely caught my attention and it is perfect if you don't want to go for the traditional heavy mehndi for yourself on your big day. 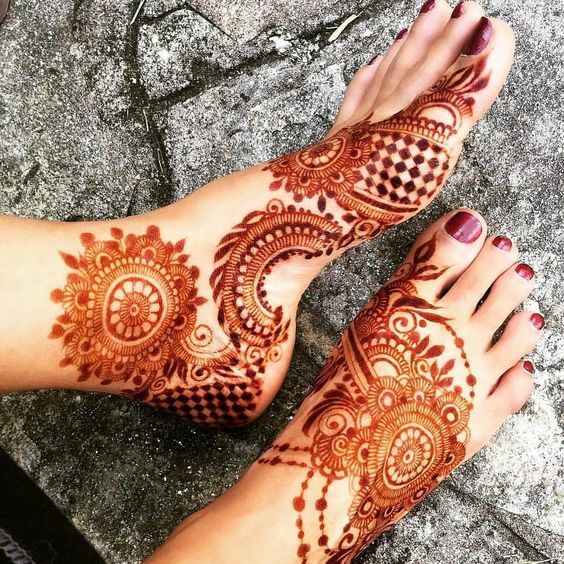 For some brides, it is also very important to choose a mehndi design according to the style of their shoes that they will e wearing. Most of them want to make sure that the design shows up through them. 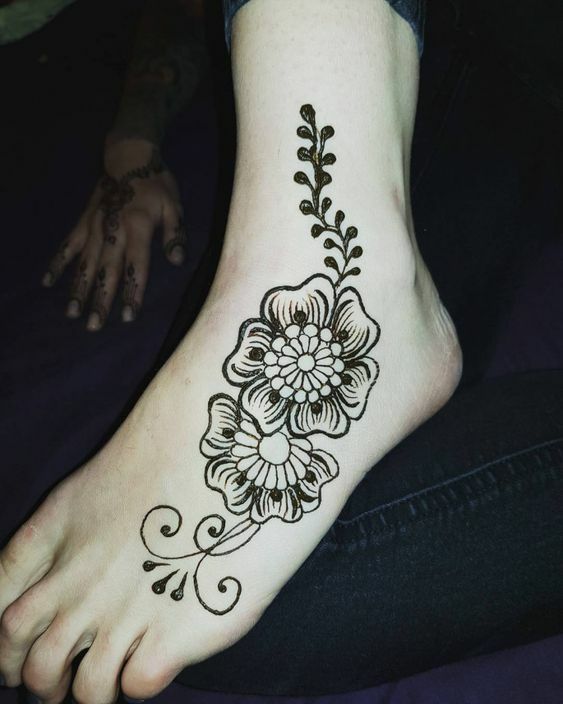 So here comes a design that has been mostly made in the middle of the foot. 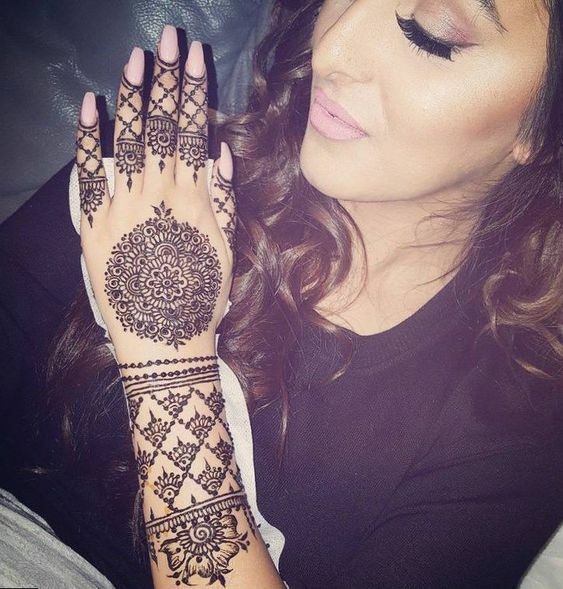 Don't we all love mehndi designs that look very delicate and can catch anyone's attention? I am sure all of us do. 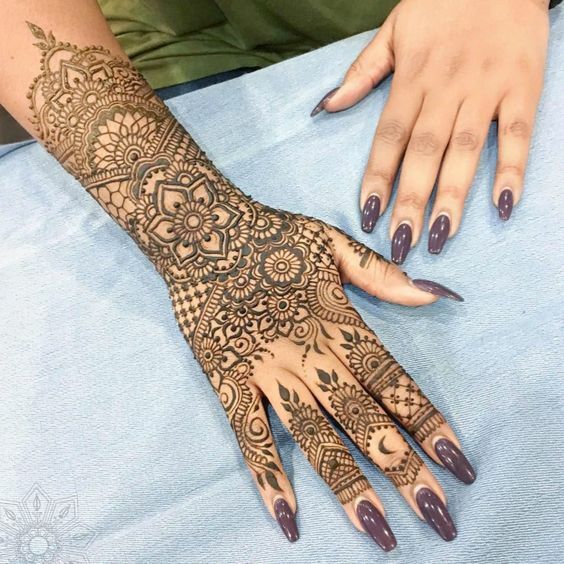 Look at how stunning this one side mehndi design has which has super detailed and intricate patterns made at the back of the hand. 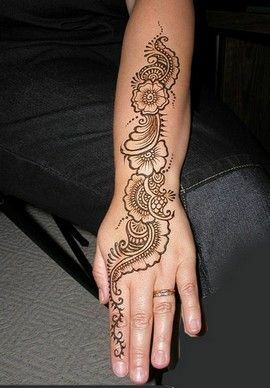 Making a peacock mehndi design can be a little tricky and how you incorporate a peacock in a mehndi design shows how much of an artist you are. 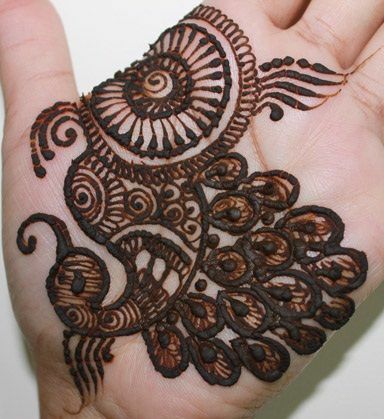 Look at how lovely this peacock mehndi design is which has been made at the front of the hand. 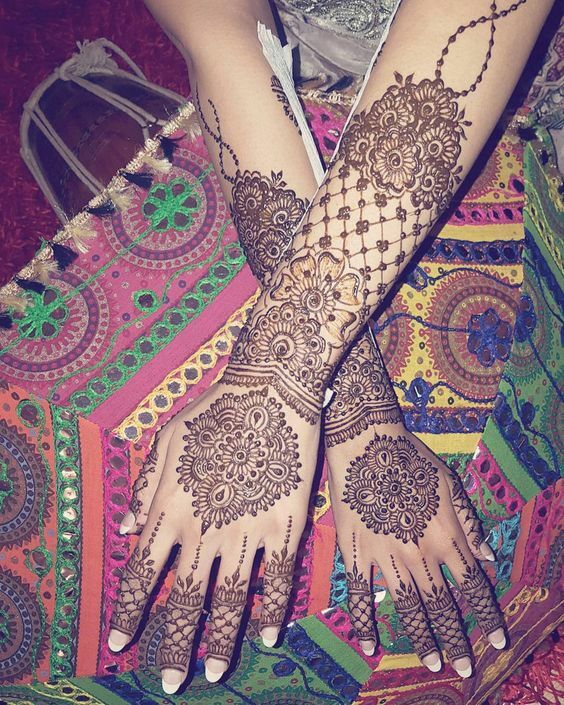 Not all kids are fans of serious mehndi designs. There are some kids who love being funky and like getting cool figures made on their hands. 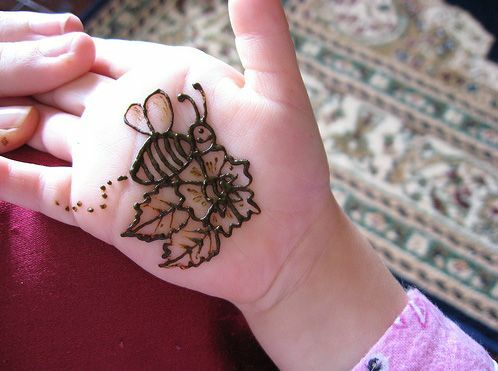 Look at this design for example, which has a cute honey bee sitting on a flower. 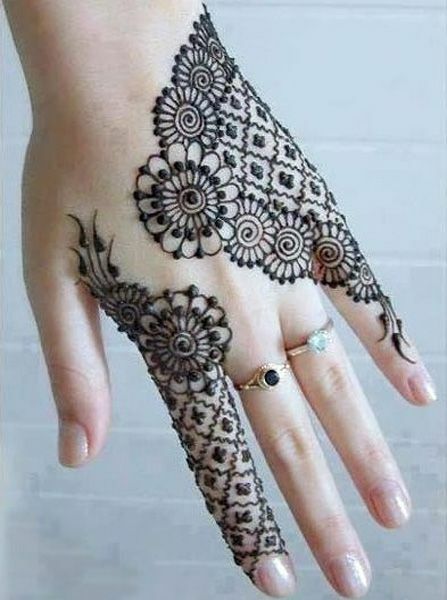 This has been made in the front hand with mehndi.